It’s time to shop till you drop! The outlets, malls, and shopping villages of West Virginia provide an excellent opportunity to pick up gifts for friends and family or treat yourself to something nice. 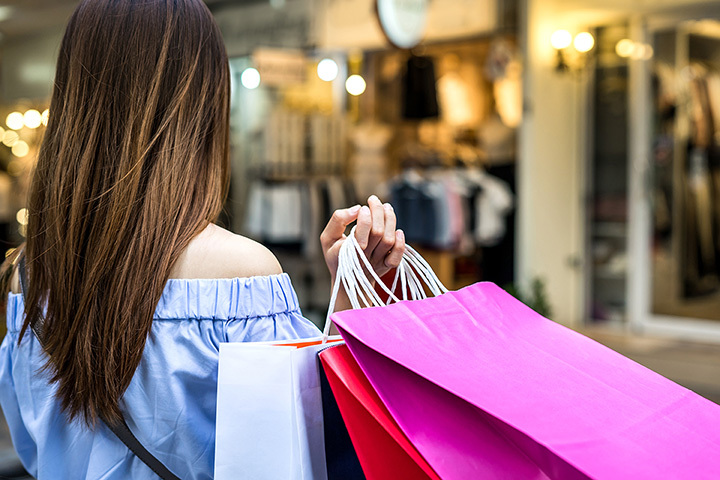 From kid’s clothing to home décor and designer shoes to jewelry, here are the best shopping outlets in West Virginia. Considered West Virginia’s only true outlet by some, Flatwoods Factory Outlet in Sutton offers trusted brand names up to 70 percent off and huge savings from the original retail price. You’ll find so many stores that you’ll want more than one day to shop. Corning Revere, Lost Road Candles, Famous Footwear, Dress Barn, Mattress Warehouse, and McFly Outdoors are just a few of the stores you can find here. Parking is free, and there are several restaurants and hotels in the area if you decide to extend your shopping trip. For a one-of-a-kind shopping experience, visit Dove’s Outlet Village in Fayetteville, West Virginia Monday through Saturday from 9 a.m. until 5 p.m. and on Sunday from noon until 5 p.m. You’ll find a little bit of everything here at the place people have come to trust and visit for over 40 years. Home décor and linens, Americana and primitive pieces, collectibles, and so much more, this is a treasure trove of unique gifts and items that can adore your home or office. Whatever the season and whatever the reason, you’ll find what you’re looking for at Burkes Outlet in Nitro, West Virginia. When it comes to fashion, this is the place to shop for popular and trendy fashion at discount prices up to 70 percent off. Home décor, clothing for the entire family, shoes, beauty items, bed and bath accessories, and those surprising items that you can only find here await you. New items all the time, and you can even get a frequent shopper membership for more savings and notifications of special sales. Morgantown is known for being a great place for food, sports, and medicine, but there’s also a great outlet store for women’s clothing. LOFT Outlet makes no apology for all things women and offers beautifully feminine clothing that’s stylish and comfortable. Whether you need a new pair of jeans, a business suit for work, a new dress for that romantic dinner, or just something to lounge around in at home, this is the place to come. Open every day with shorter hours on Sunday, check the website and Facebook page for details on special sales and discounts. You never know what you’re going to find on sale at Ollie’s Bargain Outlet in Bridgeport, West Virginia. With locations in several states, it’s a treasure hunt and you’ll be pleasantly surprised by what you’ll find there. You also find it hard to leave without buying something because the prices are that good! In-store items change frequently, so you can come back time and again to find brand name items that sell for more at regular retail stores. Check out their customer loyalty program to save even more. This shopping center is well-equipped with over 80 stores. Find anything from NiNi’s Treasures to TJ Maxx. When you need to refuel on energy, look no further and stop into one of the many hyped restaurants such as Texas Roadhouse or Five Guys Burger and Fries. With all shopping done, catch a flick in the plaza at Marquee Cinemas. So get ready to hit the Highlands with your friends and stroll, eat shop ‘til you drop! With so much shopping to be done, this mall has everything you need to enjoy your experience: a Kid’s Club—where you and your little ones can be entertained by joining games and activities—stroller rentals, a play area, and much more. Also find everything from Victoria’s Secret to Lens Crafters to Champs Sports to Justice—the list goes on and on. There is truly something for everybody here. When you are in need of a meal, there is a plethora of dining experiences such as a sit down meal at Outback Steakhouse, or Charley’s if you are on the go.